Want to start gardening but don’t trust yourself to regularly water your plants? With the “Garduino” from Luke Iseman, you can program your Arduino to help you out! This project allows you to automate watering, supplementary lighting, temperature warnings and more, using a number of sensors. All of the parts used in this project are readily available and the instruction guide is sure to help you create plenty of juicy vegetables in no time (and with very little effort on your behalf). More information can be found at the following link. If you are looking for a temperature sensor for your Arduino garden, SuperHouse Automation recommends the Freetronics temperature sensor module. The module is accurate to 0.5 ℃ and features a wide temperature range, mounting holes and comes with full code examples. To find out more check out the product page. 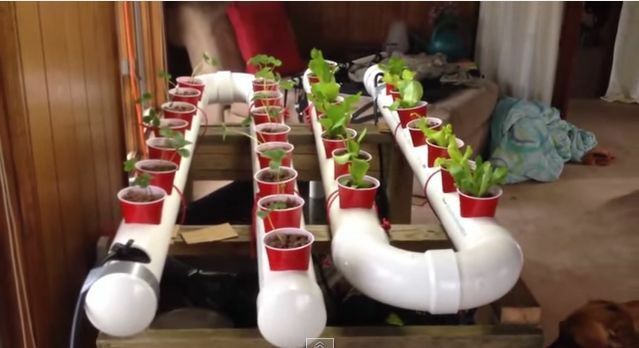 Would your neglected veggie garden benefit from some automation? The team at SuperHouse Automation would love to know! Tell us about it in the comments section below or on Facebook and Twitter.